Open Days. Quite the buzzword at the moment. Estate agents seem to love them. Set a couple of hours aside, usually on a Saturday, when anyone and everyone can roll up and view the property. A good Open Day should result in many viewings, multiple offers, win win. Buyers will be able to see for themselves how much interest there is in the property. Especially if they turn up at the same time as fifteen other viewers! This should heighten their enthusiasm and sharpen their focus. If they’re keen on the property, they’d better get in with an offer quickly. And a good offer at that! So, Open Days are the answer. The Holy Grail of marketing strategies. Well, in my opinion, no actually. Let’s look at some of the negatives. Fifteen people arrive to view your property all at once. Who are they all? Are they nosey neighbours? Are they serial househunters/non-movers (and there are a few of those around, believe me)? Are they seriously interested buyers who can afford to purchase your home? Are they ne’er-do-wells who are more interested in the contents of your home than the home itself? How does the estate agent control the viewing? Mr and Mrs Neighbour’s son suddenly runs out into the garden so they chase after him; Mr and Mrs NotMoving turn up with muddy boots on and head straight upstairs to the cream-carpeted bedrooms; Mrs NothingElseToDo engages the agent in a long, deep and meaningful conversation about the weather, the property market and anything other than the house; while Mr and Mrs CashBuyers arrive, have a quick look around and leave, wishing they’d been able to ask some questions about the house and its environs. Meanwhile, Mr Ne-er-do-well has the vendor’s jewellery box under close scrutiny. Sorry if this sounds alarmist. But you can see how the whole thing could so easily get out of control. On the other hand, what if only one person shows up? Arrives at the beginning, hangs around for a while, then asks the agent “how much interest has there been?” Are they going to rush in with a high offer fearful of the next viewers pipping them at the post? I think not. So why are they so popular? 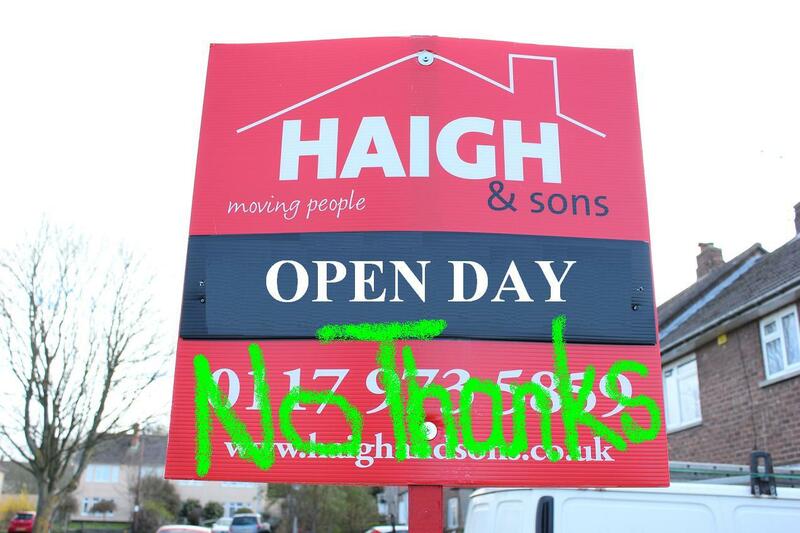 Well, to be frank, I think estate agents love Open Days because they’re easy. Advertise the time in the paper and on the website, put a flag on the For Sale board, turn up on the day and see what happens. Estate agents know that half of the people turning up will be the nosey neighbours etc. A chance to do a little networking, maybe? “Here’s my card in case you want your house valued”. Now, I’m all for making our clients’ lives as easy as possible. As a father of four I completely understand how difficult it can be to get the house tidy. So having a timed viewing event is a great idea. But do what we do. Make viewers make an appointment. If people have to make an appointment, we have the opportunity to find out who they are, where they live, what their buying position is. Maybe some of the nosey neighbours will be a little deterred? Space the viewings at intervals that ensure they have some time – without the distraction of their “competitors” trying to listen in on their conversation – to look around and get a feel for the property. Try to get the timings right (always tricky, but we do our best) so that as one viewer leaves, the next one is arriving. This generates the competitiveness, without it feeling like a complete feeding frenzy which puts many potential buyers off. And if, in the unlikely event given the buoyant state of the market at the moment, only one person decides to view, there’s less reason for them to realise that that is the case. So we say “Down With Open Days! All Hail Viewing Days!”.